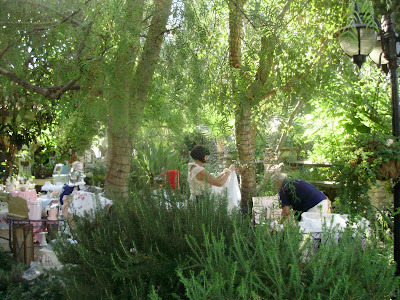 Martha's Favorites: A LITTLE FRENCH FLEA MARKET AND DID I TELL YOU I COLLECT MILK GLASS? 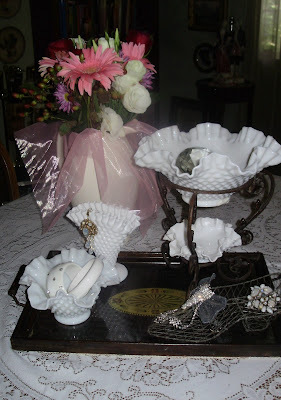 A LITTLE FRENCH FLEA MARKET AND DID I TELL YOU I COLLECT MILK GLASS? My dearest friend, Deby, and I were in West Hills, CA on Saturday. 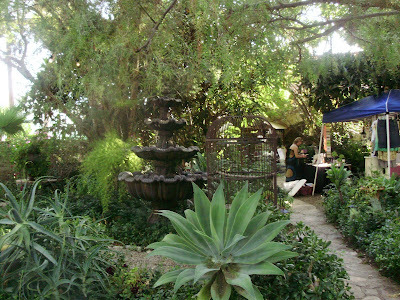 We were at The Little French Flea Market. I believe it was 102 in the shade. It was, however, a buffet for your eyes! A little pricey for me, but I am so glad we made the trip. I took some pictures for you to see. I have never been to a Flea Market like this. The place it was held at was very beautiful. I did come back with a goodie or three, but mostly my eyes enjoyed the view! 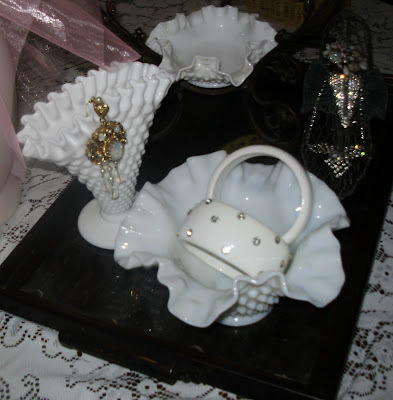 I also wanted to show you a few pieces of my vintage, milk glass collection. It is rather large, so you only can see a few pieces this time. 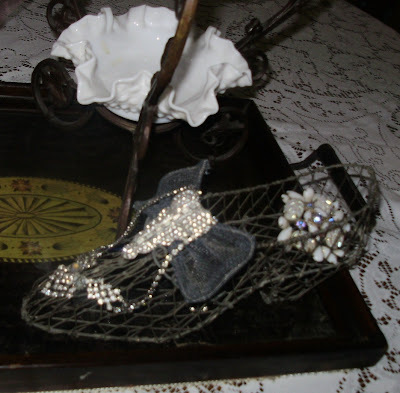 They are still very inexpensive to collect and can make a great statement in any vignette! The flowers are from my hubby! That flea market looks like it would be just up my alley! I have a couple of milk glass pieces I inherited from my great Grandmother, they're so pretty. I hope you had a terrific weekend Martha! I LOVE THE SHOE!!!!!!!!!!!!! I AM DROOLING OVER IT! AND TAPPING MY TOES WITH THE BULL FROG! GREAT SONG! BLESSINGS! Have a great and cool week. thank you for stopping by my blog and for the lovely comment! and what a fun flew market thats only about 30 min away from me i wish i had gone =[ i read you're about me and to answer you're question, no, i don't think a girl can have too much pink!